Thank you for joining us this morning for Behind the Shields in Jacksonville and online! 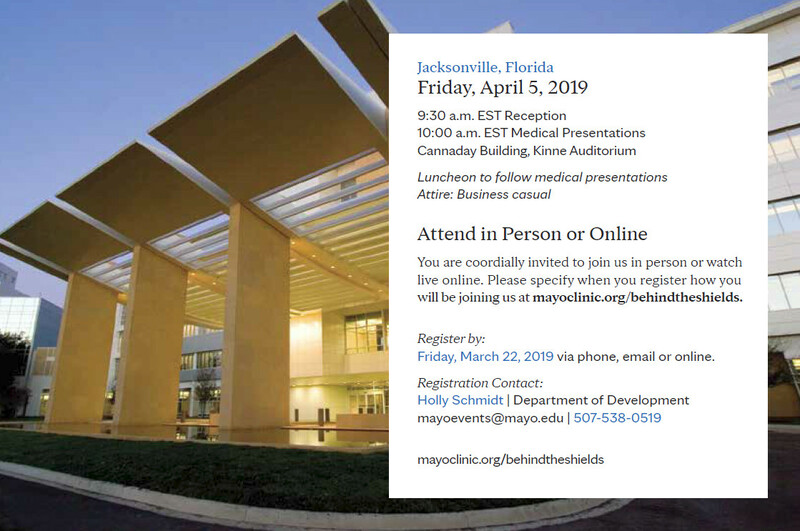 Be sure to watch for videos of each presenter to be posted within the Archives tab in the following weeks, allowing you to revisit and share the updates of campus expansions, research and cardiology at Mayo Clinic Florida. Your invitations for the next two Behind the Shields events in Rochester, Minnesota and Phoenix, Arizona will be sent to you. Can’t join us in person? Mark your calendars for August 22 (Rochester) and November 19 (Phoenix) and stream live from anywhere. And remember to create a Mayo Clinic Connect account and subscribe to the Behind the Shields news feed to get the latest updates on the upcoming events. 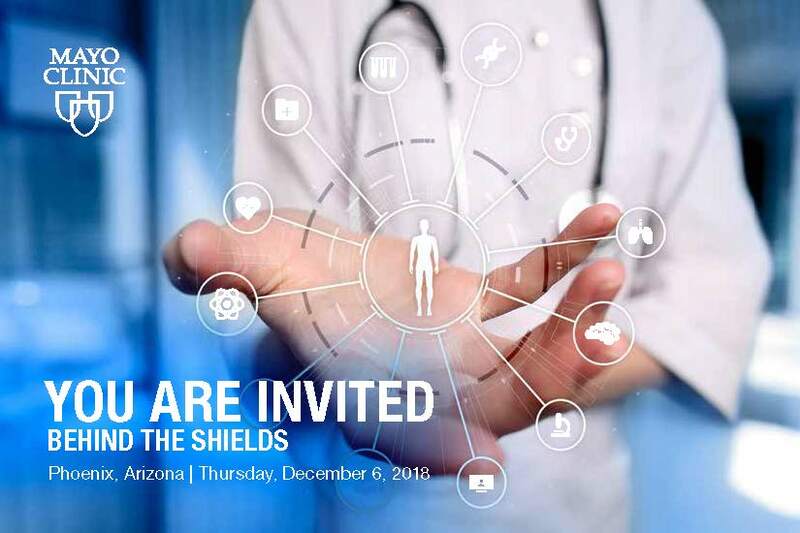 A few spots remain for our upcoming Behind the Shields event in Jacksonville, giving you an insider’s look at how Mayo Clinic is creating the health care of the future. Register now to join us for this exciting update on Friday, April 5th. Can’t make it in person? Watch from anywhere via our live stream—Register now for your reminder! See you next week! For more information, please contact Holly Schmidt at 507-538-0519 or mayoevents@mayo.edu. Join us to celebrate ongoing success and an exciting future here in Jacksonville. You will receive an inside perspective from senior leaders, learn about expansion of our facilities and hear from physicians and scientists who are contributing to creating the health care of the future, with a special focus on caring for the heart. Enjoy the fellowship of other friends of Mayo Clinic, and join us in honoring the Mayo family’s transformative gift in 1919, which established a not-for-profit medical organization now ranked No. 1 in the nation. Thanks for your support! To recognize your friendship and support of Mayo Clinic, we cordially invite you to our private educational event series, Behind the Shields. 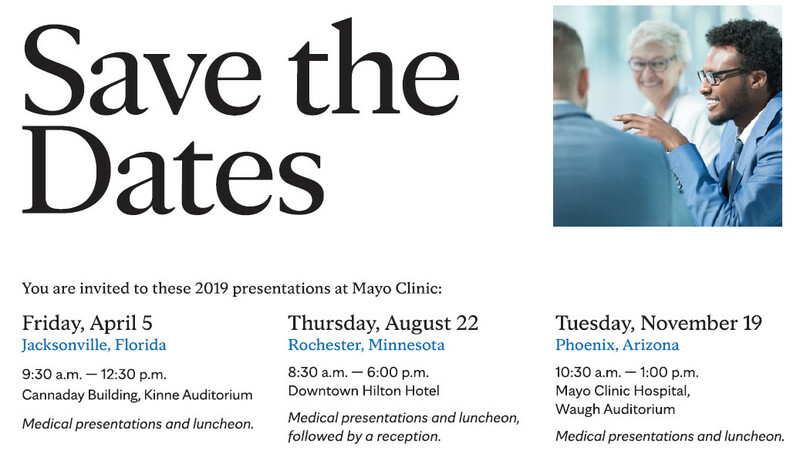 Each event provides an inside look at dynamic advances in patient care, research and education – the three shields depicted in the Mayo Clinic logo. You will meet Mayo Clinic leaders and enjoy fellowship with our patients and friends. In 2019, we will feature a different program on each Mayo Clinic campus. We hope you can join us for one or more of these special events. Also in 2019, we honor the 100th anniversary of the Mayo brothers’ transformative gift, which established Mayo Clinic as a not-for-profit organization. Formal invitations will be mailed prior to each event. For now, please save the dates and mark your calendar. We look forward to seeing you. We invite you to join us online to watch the third and final program of the 2018 Behind the Shields series. When patients need answers for rare, serious and complicated conditions, they turn to Mayo Clinic. Please join us in exploring our transformational work to create the future of health care. We invite you to join us online to watch the second program of the 2018 Behind the Shields series. When patients need answers for rare, serious and complicated conditions, they turn to Mayo Clinic. Please join us in exploring our transformational work to create the future of health care. More information can be found here. All presentations are recorded and will be available for additional viewing after the event concludes. 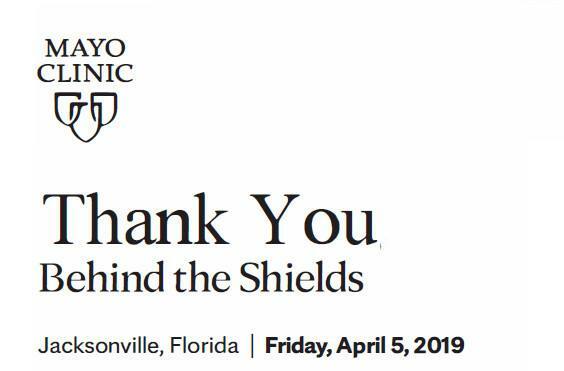 Recordings will be available in the Behind the Shields presentation archive located on Mayo Clinic Connect. ‘Live’ Online Viewing will be available from 10:30 A.M. – 12:15 P.M. MST. Given the variety of devices and web platforms in use, there may be a slight delay. All presentations will be recorded and available for additional viewing about 2 weeks post-event. 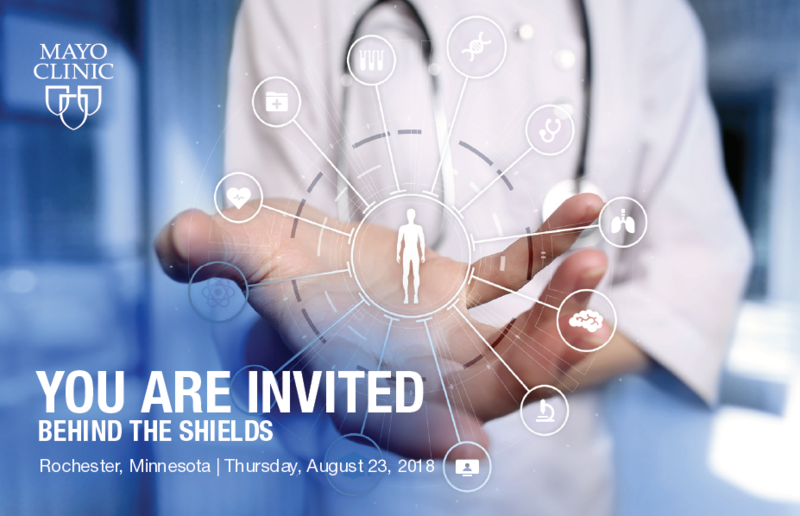 Recordings will be available in the Behind the Shields presentation archive located on Mayo Clinic Connect. Brian Chong, M.D., Niloy Jewel Samadder, M.D., Cynthia Townsend, Ph.D., L.P.